HIGHLY TOXIC. Toxicity varies with the seasons. 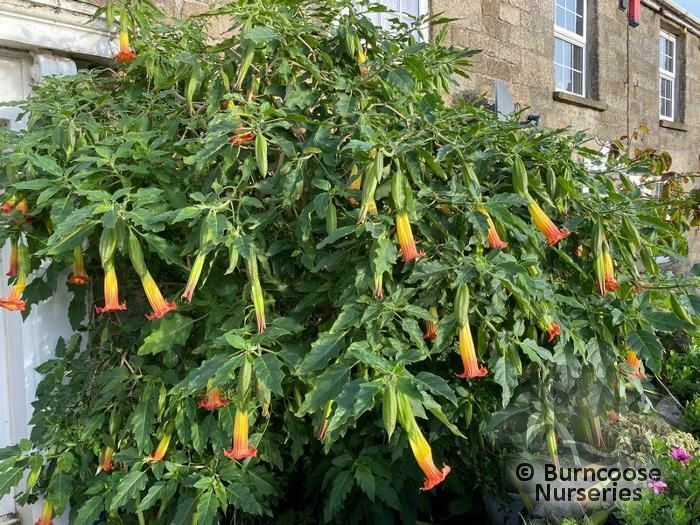 Linnaeus classified these plants with Datura. 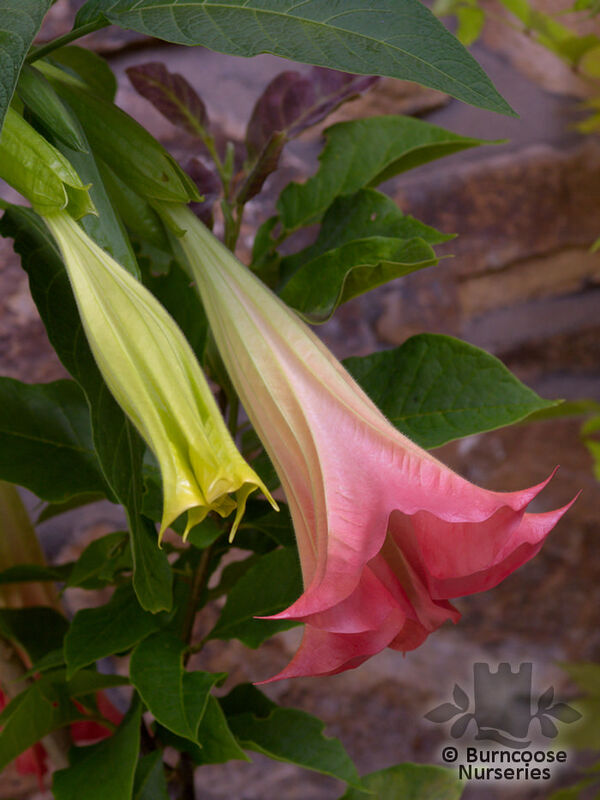 They were transferred to Brugmansia in 1805 and during the next 168 years they went back and forth in lists. 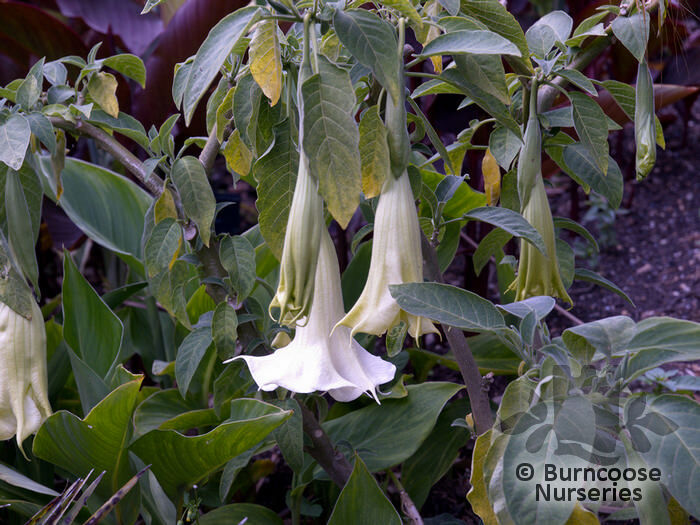 In 1973 they were placed by TE Lockwood definitively as Brugmansia where they have remained. All species are extinct in the wild, though because of their popularity in cultivation they exist widely as introductions. Evergreen - shrubs and trees. Leaves are often toothed or lobed. Additional Features	- Good to know - grown for their large, usually scented, solitary tubular or trumpet-shaped flowers. Place of origin - southern USA to South America. Commonly known as: Angels' trumpets.